In the workshop Menia we carry out courses and workshops for adults and children. This course is long lasting, starts in September and ends in June. 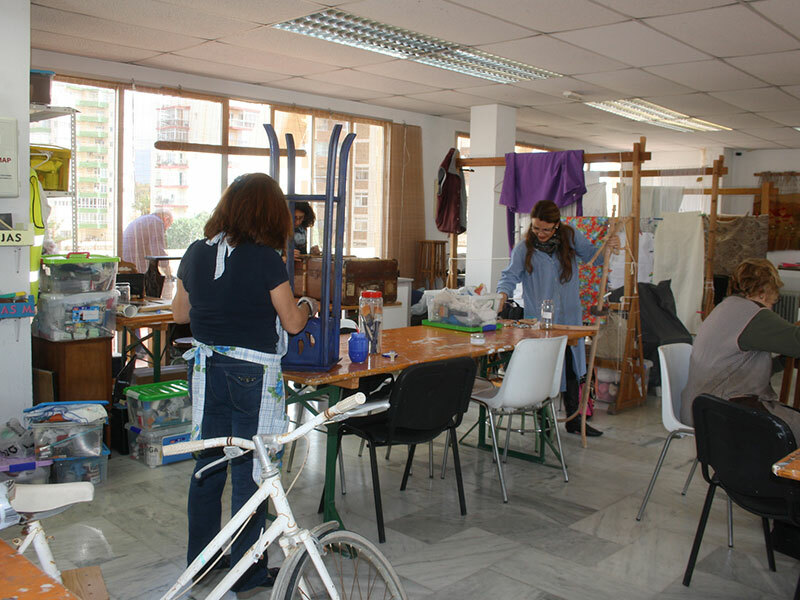 It is taught in the Edificio Siglo XXI, it is a municipal workshop of the Department of Culture of the City of Fuengirola. Classes are Tuesdays and Thursdays in the morning and afternoon. 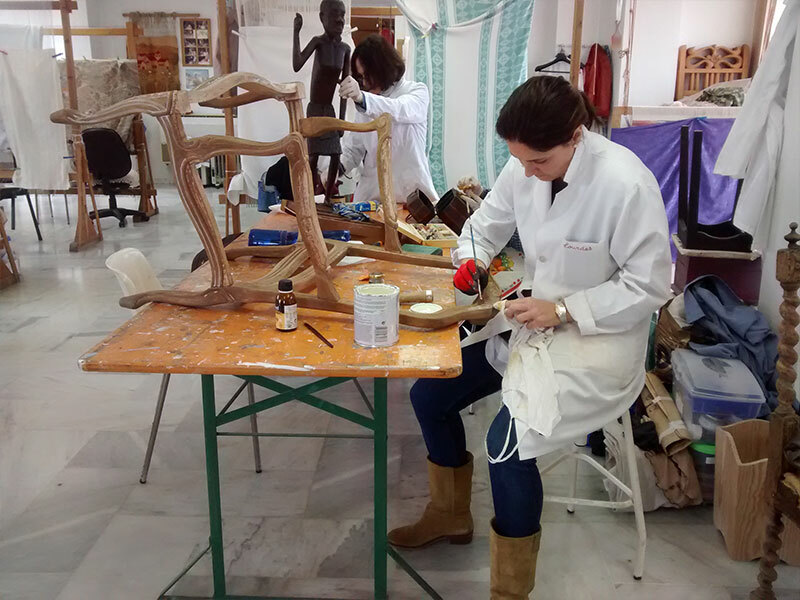 In class, students work on a real work, which can be a piece of furniture, a painting, a sculpture or antiquity. In it you will learn basic restoration techniques, traditional techniques for decorative finishes, upholstery, reinstatements and additions, and decorative techniques to modernize those furniture that have become outdated but we have great sentimental value. All techniques and methods are carried out in a course and a place very exclusive taught by two teachers with degrees in Conservation and Restoration of Cultural Property. Monographic courses last from 2 to 4 hours and are intended for those who for various reasons cannot attend a long term course but want to learn the different techniques for decorating and modernizing furniture and pieces that are old fashioned. The idea is to reinvent, transform and customize our furniture getting unique pieces. These courses are taught in our workshop in small groups or in a space that your business, academia or agency may have available. We accommodate weekend schedules (Fridays or Saturdays). hildren’s workshops are a perfect educational alternative for the formation of the smallest in the discipline of history, archaeology and artworks restoration. It is a group dynamic that can be entered in any age group, from age 6 to 12 and also allows contact the participant with the physical environment, close to reality (the archaeological site) through simulations and tools professionals use. They are taught in our workshop or we move to the classroom or site where you want to impart the activity. Prices will vary depending on the number of participants and content, performing with a minimum of 8 people.